When you live in the country, it’s easy to live small. But what does living small really mean? The concept is pretty fluid and has different meanings for different people, but the general idea is that you cut the fat and learn to live simply. That’s all. Unclutter your life, physically and figuratively, so that you can open up other, better possibilities for yourself. It’s about freedom. Here are the steps to take for living small in a big city. Read the article and look for more: a collection of survival tips can be yours easily! We’ve surrounded ourselves with so much stuff that we don’t know what to do without it. We don’t know where our food comes from, and most of the people don’t care. We buy things, then throw them away when they break and buy new. We do the same thing with relationships. We order huge portions of food, then throw half of it away. We buy cars we can’t afford and clothes we won’t wear. Our lives are based upon consumption and waste. Well what would happen if all of those sources of consumption were no longer there? What if you had to grow your own food, or fix your shoe instead of throwing it away? What if you had to get to know your neighbors, and work with them to survive? What if you were forced to give up your large living and live small? It’s not such a horrible concept, and it’s completely possible, even if you live in an urban area that’s built entirely on the precept of living big. As a matter of fact, learning to live small will teach you to appreciate the truly big things in life. Living small is a process. You can’t just go from being $50k in debt to living small. Your journey to living small will begin with tiny, fettered baby steps, but can end in long, free strides. The first thing you have to do to heal the wound is stop the bleeding. Sit down and make a list of ways that you’re living above your means. Next, figure out what steps you can take right now to live smaller. Nobody needs a new pair of shoes once a week. Seriously, find out where you’re spending frivolously and decide if having all of those shoes is really worth being tethered to a credit card payment. If it is, then living small isn’t for you. Stop reading. Now, make a plan to get rid of the debt. Can you really afford your apartment or would you be better off with a smaller place that costs less? Don’t sacrifice your safety by moving into a bad neighborhood, but don’t put yourself in the poorhouse paying $2k/month in rent when you only make $3k. The big stuff will take a while to pare down. The important thing right now is to NOT make it worse. Make a list of 5 things that you’re going to change today to live cheaper, because adaptability is one of the key attributes of a survivor. All of the things that we’re going to talk about from here on out are all about adapting a new, simpler lifestyle. Living small isn’t about giving things up. It’s about living life on your own terms, in pursuit of your own happiness. Oh no – your jeans have a tear or the leg on your chair is loose? Well grab what you need and fix it! Don’t know how? Well thankfully you have the internet at your fingertips. What happens if you find out that you enjoy sewing? You may just end up with a new hobby. Even if you don’t you’ll end up with a new skill. And you won’t be in debt any deeper. You just took your first step toward living small. There’s something to be said for the power of learning to do things for yourself. Pick three skills that you’re interested in learning, then learn them. Be open-minded and flexible. Try something that you may not have thought about doing up until now. Having skills if SHTF will put you head-and-shoulders above 99 percent of your neighbors. Besides, this country was built by people who knew how to do things for themselves. You can learn something new anywhere, anytime, even when playing cards with your loved ones. However, if you want to take it to the next level, we also recommend these Urban Survival Playing Cards, featuring 52 more life-saving lessons, you can learn through play, that also act as a quick-reference ‘cheat sheet’ in times of emergency. There are flea markets and thrift shops in every city – it’s just a matter of finding them. Learn how to barter, or at least how to haggle. It’s a trait that will serve you well, and you may just find some great stuff that you can use instead of allowing it to go to a landfill. This is, after all, about living small. Go through your closets, drawers, and cabinets and if it isn’t something you’ve used in the last year, get rid of it. I’m not talking about your wedding video, but do you really need those shorts that are two sizes too small or that ugly shirt that your great aunt Sally got you for Christmas? Don’t throw it away – have a yard sale or give it to charity. Better yet, do you know somebody that could use it? If so, give them first pickings before you take it to charity. This is all about learning to live. Nothing feels better than to do something good for somebody else. So what if you live in a tiny apartment. That doesn’t mean that you can’t grow your own food. There are all kinds of ways that you can garden indoors. You can live in a city and grow plenty of things. You just have to be creative. Terrariums are great and vertical gardening is good, too. The path to a better world starts with our kids. Teach your children how to garden, and how to fix things. Raise them with the “living small to be happy” mentality. Life isn’t about stuff, and now is the perfect time to teach them that life is about embracing what they have and what they can do, not about collecting material things and drowning in debt to get it. Take time to smell the roses. Literally. Don’t get so trapped in the rat race that life passes you by. Look at the clouds. Take time to go for a walk or take a bike ride. Eat lunch in the park. Take the kids with you, but sometimes go by yourself. You only get one go-round so make it worth it. Make memories, not worries. You’re going to need to know where to find water and food if things go on beyond what you prep for, so learn about your local co-ops and resources. Network and find like-minded people. Holing up and making it through on your own may sound like the thing to do, but it’s not. Build relationships. Since you’re living in an urban environment, it’s going to be next to impossible to live independently because you won’t have the resources to do so. Know how to get out of the city if you need to. Know what’s around the city, including water sources and escape routes and maybe even hiding spots, just in case. Living small isn’t about living less. It’s about living life in a way that makes you happy and safe. Nobody is happy living in debt and struggling just to make it from payday to payday. Also, you won’t be safe and able to survive since you rely and depend totally on the wealth around you. Start practicing your survival skills by turning to living small! 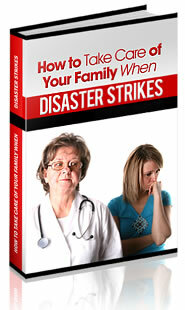 Get more 52 survival secrets to help you thrive after disasters and breakdowns in urban areas!